This September, CTEET celebrated Arbor month by planting trees and raising awareness about the value of, and issues surrounding, trees. 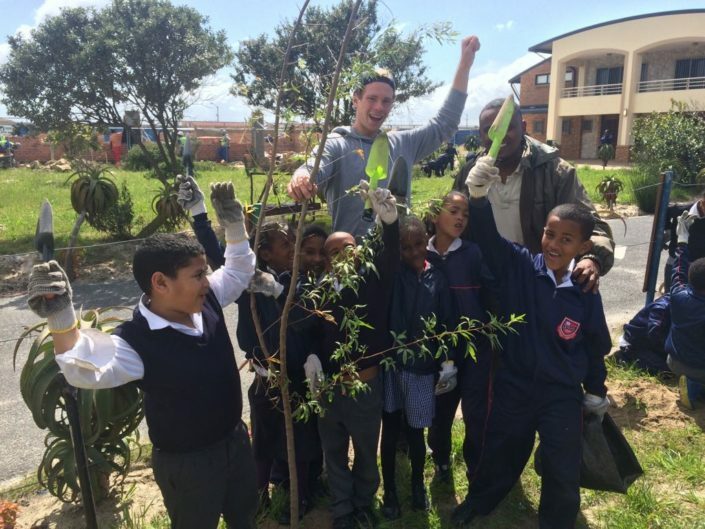 National Arbor Day has been celebrated in South Africa since 1983 in order to raise awareness and encourage people to recognise the value of our trees. South Africa is one of the most biodiverse countries in the world, according to the South African National Biodiversity Institute (SANBI), with some special and indigenous trees like the Yellowwood tree holding great importance and value to our country. Trees are not only beautiful and iconic but they improve our air quality, they provide humans and wildlife with resources such as food and shelter, they help to stabilize our soil to prevent soil erosion and they provide shade to both humans and wildlife. Trees are also valuable for natural medicines and play a role for traditional healers and ceremonies. 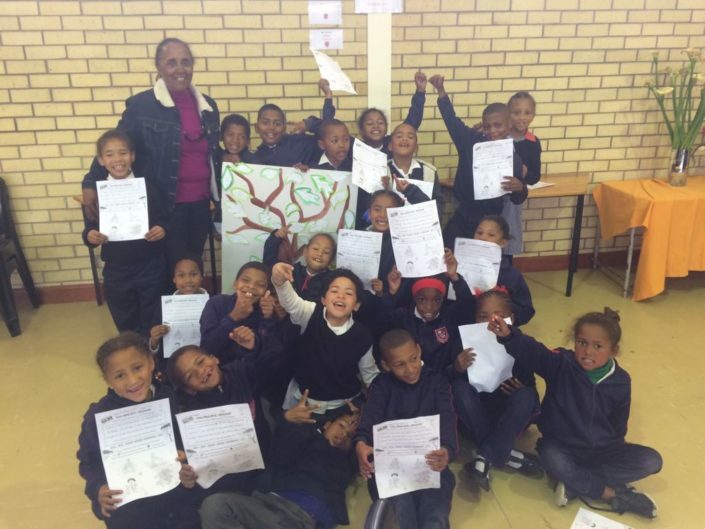 This Arbor Month, CTEET visited eight primary schools and two high schools in Cape Town. 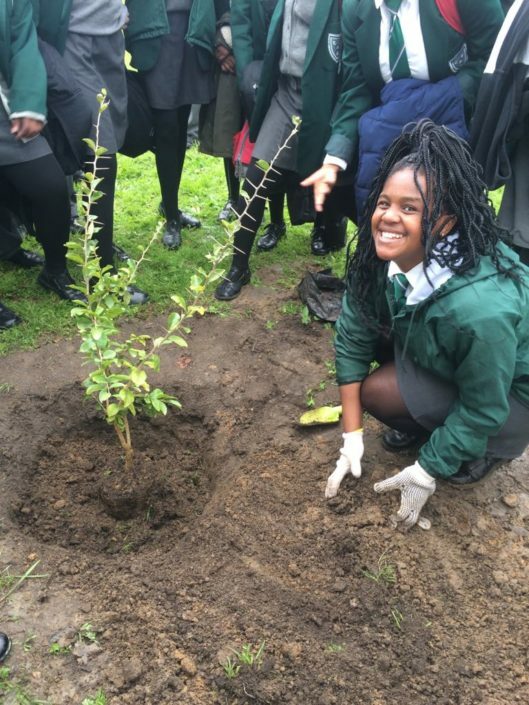 The outreach programme comprised of a mixture of classroom activities, presentations, tasks and planting. The primary schools were introduced to importance of trees illustrated by a fun story telling session, followed by an activity in which they were given leaves to write their Arbor pledges for their poster. This task gave them the freedom to come up with their own pledges, an important step in invoking conservation thinking in their young minds. The high schools were reminded about the importance of trees with an interactive discussion and presentation. 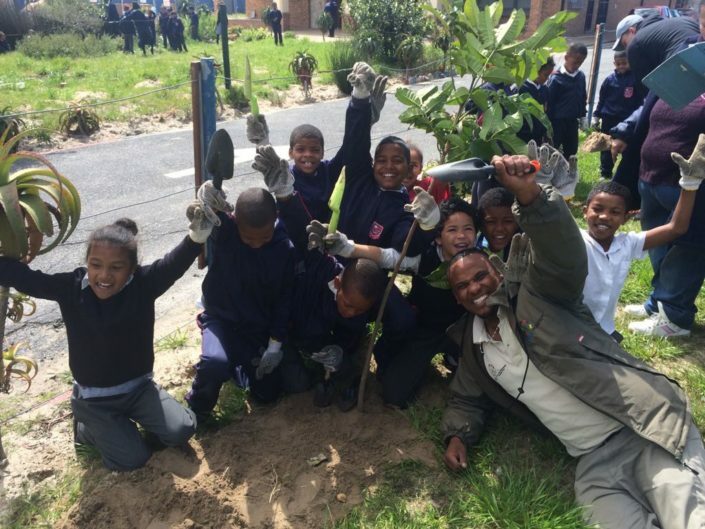 After the presentations and activities, the learners separated into groups and made their mark by planting their trees in their respective school grounds. The groups found this part very exciting as it creates a personal relationship between the learners and their tree allowing them to connect with nature and appreciate its value. 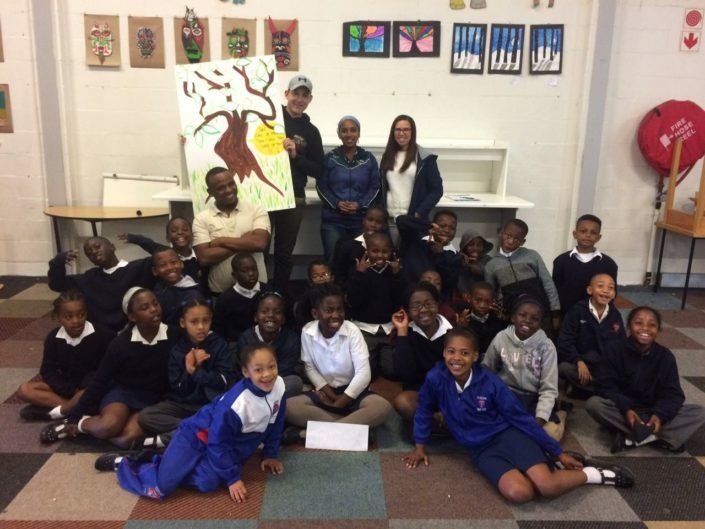 Many of the learners enjoyed adding a personal touch to their trees by giving them names such as Koos, Genesis, Bob Marley and Bart Simpson! 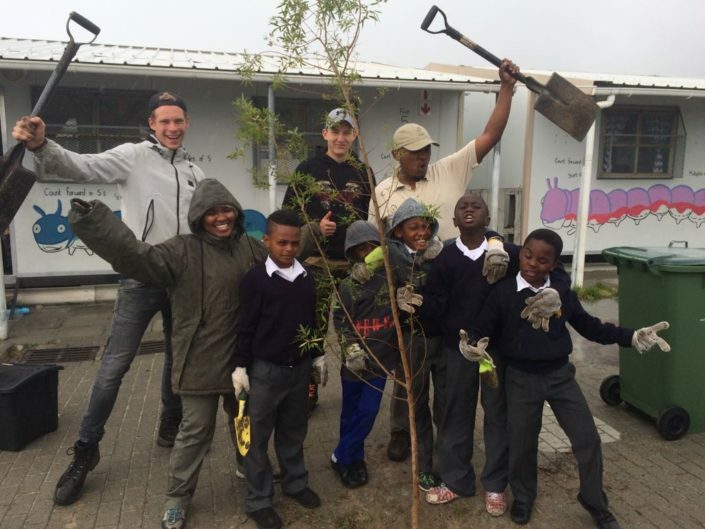 Throughout the month of September, CTEET was able to plant over 35 trees thanks to support from Department of Agriculture, Forestry and Fisheries (DAFF) and of course the schools involved!